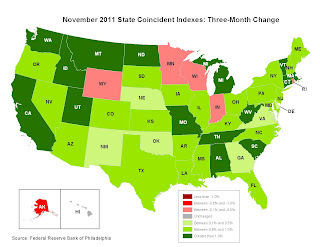 The Federal Reserve Bank of Philadelphia has released the coincident indexes for the 50 states for November 2011. 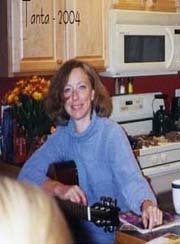 In the past month, the indexes increased in 44 states, decreased in four, and remained unchanged in two (Hawaii and Wyoming) for a one-month diffusion index of 80. 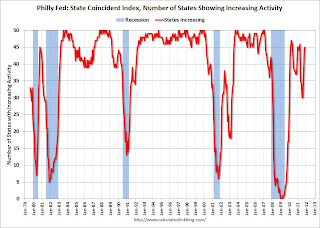 Over the past three months, the indexes increased in 43 states, decreased in six, and remained unchanged in one (Hawaii) for a three-month diffusion index of 74. 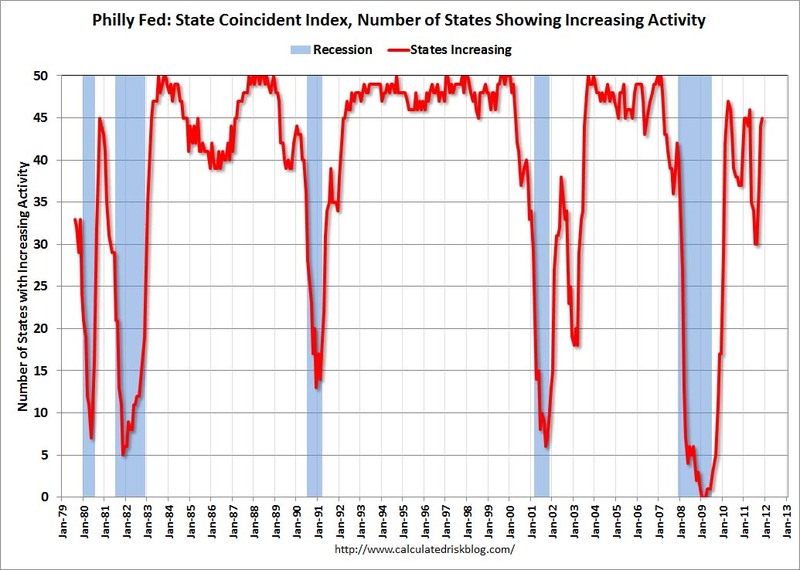 In November, 45 states had increasing activity, up from 44 in October. This is the highest level since April. 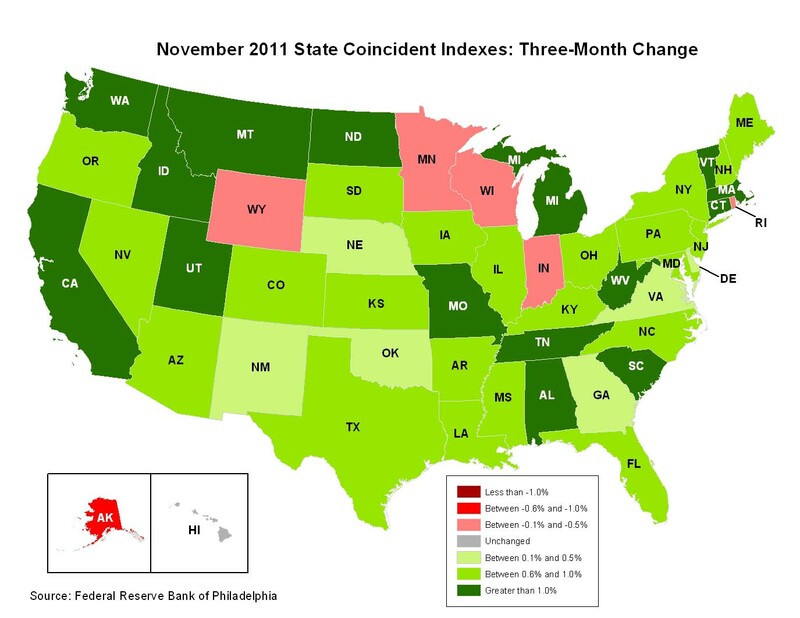 Here is a map of the three month change in the Philly Fed state coincident indicators. This map was all red during the worst of the recession, and all green earlier this year - but this is an improvement from a few months ago.